The first owner bought the car new in 1956, He kept the car for 50 years!! Then in 2006 the current owner bought the car. They went to various classic car show’s and classic rallies with the Daimler, proving very reliable. 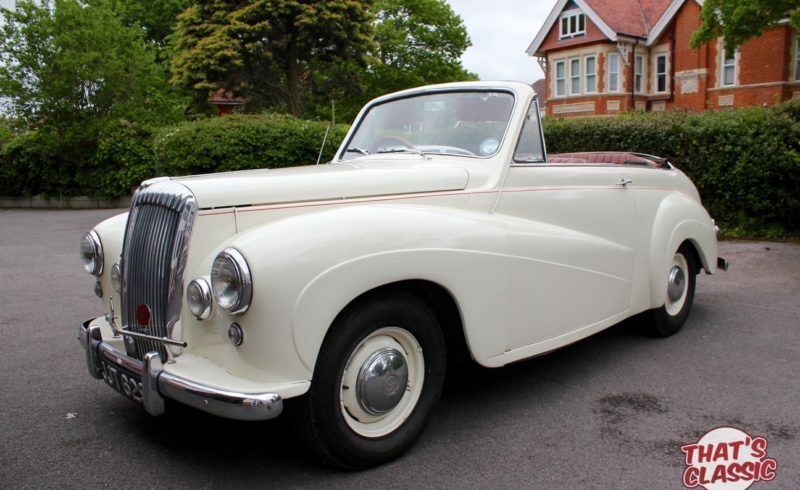 In this time and throughout its life it has been very well looked after, more recently having the cylinder head rebuilt and the steering overhauled. The car runs very well and has always been garaged with only fair weather use. The car is Mot and tax Exempt due to being a pre 1960’s car. This is one of only 54 cars made and believed to be less than 10 remaining in the world. This is a great opportunity to buy a piece of motoring history, with so few cars left, this is surely a fantastic investment for the future. We can arrange delivery anywhere in the world, please ask for a quote. More than happy to help with shipping worldwide.